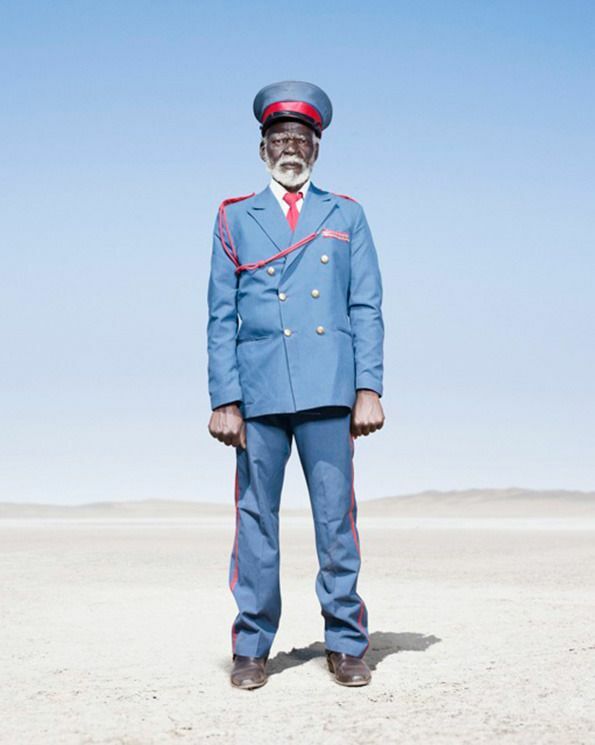 In the first decade of the twentieth century 80% of the population of German-occupied Namibia belonging to the Herero tribe were wiped out in a brutal genocide decades before the infamous murders of the Holocaust. Those who survived of the once 80,000-strong people were left with no property and no rights. How we remember the victims of such atrocities is always a moral conundrum full of nuances. 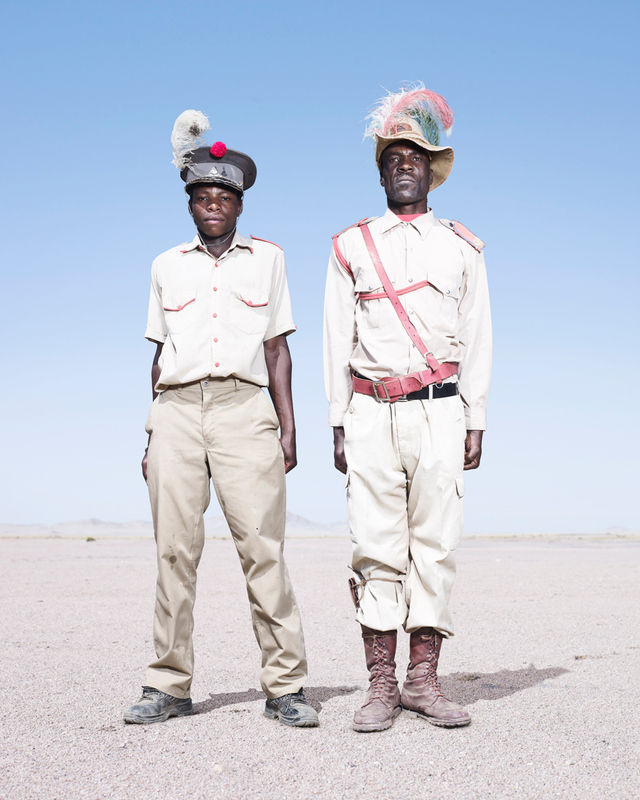 But when the German army was defeated by South Africa in 1915 the Herero began an unusual but beautiful reaction to their tragedy – by dressing as their invaders. The men wore the uniforms of the oppressors while the women channelled the styles of the first Christian missionaries who visited in the 1890s. This meant great voluminous skirts that have lasted in the culture to this day. The cow horn headdress is often made from rolled-up newspaper. 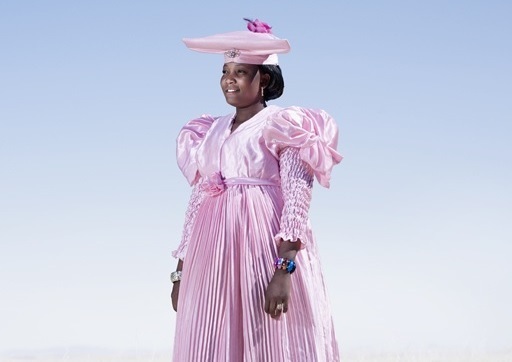 Fashion photographer Jim Naughten captured a wide variety of these clothes published in his 2013 book, accompanied by analysis by the anthropologist Dr Lutz Marten, Conflict and Costume: the Herero Tribe of Namibia. The London-based photographer drove thousands of miles through the desert, meeting and negotiating with people, camping and continuously cleaning the dust out of his camera equipment. At the 100th anniversary of the massacre, German Minister for Economic Development and Cooperation Heidemarie Wieczorek-Zeul apologised for the crimes on behalf of all Germans. Southgate's Waistcoat Spells Sartorial Sports?